Raleigh, North Carolina, is one of the fastest growing areas in the country. Between 2000 and 2014, the city’s population increased by 59 percent. Downtown Raleigh has experienced dramatic growth in new residents and businesses as well. The downtown’s retail base has increased by over 35 percent in the last four years, and events, festivals, museums, and attractions bring more than 3.5 million visitors to the downtown area each year. By all indicators, Raleigh is flourishing. But this level of growth presents challenges. This heat map, which displays litter data collected using Litter Reporter, resulted in two additional solar-powered trash compacting units being placed at the corner of Hargett and Wilmington streets, where high densities of litter were recorded. Last fall, residents and business owners raised concerns about litter and cleanliness in downtown. Although multiple groups—including the Downtown Raleigh Alliance’s (DRA) Clean Ambassadors and staff from the departments of Parks, Recreation and Cultural Resources and Solid Waste Services—contribute to keeping downtown clean, the demand was outweighing available services. So the City of Raleigh turned to its robust GIS—and used AppStudio for ArcGIS for the first time—to figure out what to do. Raleigh’s Office of Sustainability and DRA worked with their service partners to form a task force and create a plan of action for tackling the city’s litter problem. Task force members first needed to understand the litter issue. They had to gather information and assess the magnitude, types, and locations of litter before they could make any recommendations. But the timeline for completing the study was short. Because it was autumn and temperatures were beginning to drop, the schedule for events and activities taking place downtown was slowing down. A litter audit had to be completed quickly to provide the task force with any meaningful information. An eight-member team from the Parks, Recreation and Cultural Resources and Solid Waste Services departments was looking for a tool to gather location-based information about the density and types of litter in downtown. The City of Raleigh’s sustainability manager, Megan Anderson, contacted Raleigh’s GIS team to get help. “They have always been willing to take advantage of new tools and have an innovative approach to problem solving,” said Anderson. GIS and web app integration developer Justin Greco believed he could deliver a mobile application on a tight schedule using AppStudio for ArcGIS. He had learned about the app, in beta at the time, during the 2015 Esri User Conference. “It was what first came to my mind when this project was brought to our team,” he said. Because of the project’s short time frame, Greco said a custom-developed app was out of the question. AppStudio for ArcGIS, however, would allow him to configure a mobile app without spending time on coding or development cycles. 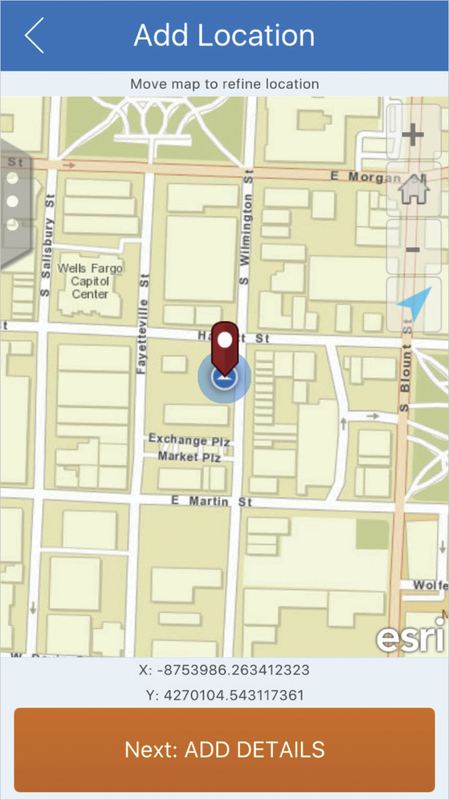 The Litter Reporter app allows users to photograph litter, geotag its location, and select its type. He leveraged the city’s existing maps and added a hosted feature layer to enable field staff to collect data and store it in ArcGIS. Working with members of the task force, it took Greco less than three weeks to build the mobile app, make minor adjustments, and install it onto eight smartphones. The litter audit took place in October 2015. The eight city staff members doing the audit received less than 15 minutes of training on the user-friendly mobile app, called Litter Reporter, just before they went out for the first time. Following the Clean Ambassadors’ cleaning routes, the auditors walked downtown six times a day at specific intervals over a period of three days to collect litter data. When they spotted litter, they photographed it; geotagged the location; and used the app’s quick-select menu to categorize it as paper, cigarette butts, containers, bottles, cans, food, or cardboard, for example. The GIS team then used ArcGIS Online to create visualizations of the litter audit data that could be displayed in Operations Dashboard for ArcGIS. 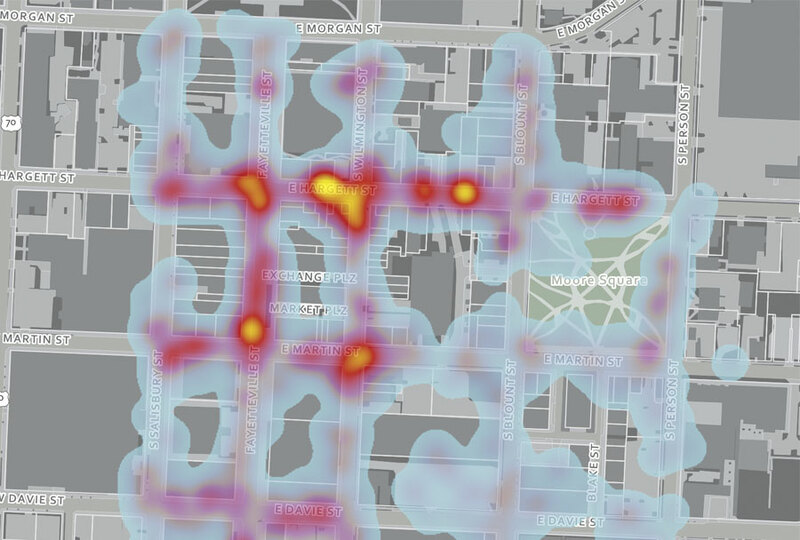 Heat maps provided a clear picture of litter density and the types of litter found most frequently downtown (which were cigarette butts, followed by litter associated with food consumption). The task force used the reports to determine where litter is an issue and developed recommendations and plans for reducing litter in these areas. The Parks, Recreation and Cultural Resources department presented the Raleigh City Council with a detailed report of the task force’s findings, along with budget planning options for addressing litter control and cleanliness in downtown Raleigh. The department continues to use Litter Reporter every quarter to monitor trends and figure out how to efficiently manage litter downtown. Supplemental audits follow the same methodology, routes, and times as the first audit to ensure that the city is monitoring accurate trends. 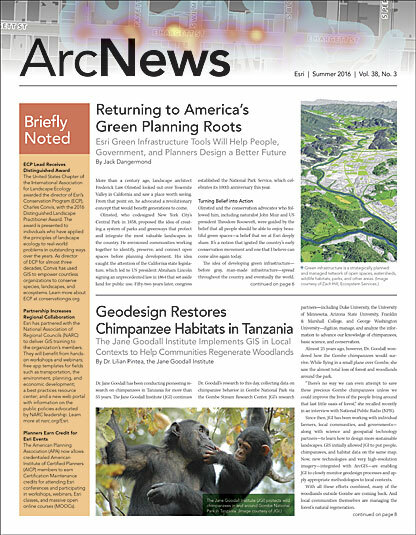 ArcGIS—and especially AppStudio for ArcGIS—allowed the GIS team to collaborate deftly with the task force, providing its members with the tools they needed to gather data quickly and create actionable reports. Staff at the City of Raleigh will continue to use data and reports from the litter audit app to work cross-departmentally with DRA to evaluate options for increased levels of service downtown. For more information, contact the City of Raleigh’s web and GIS manager, Jim Alberque, at 919-996-2520.